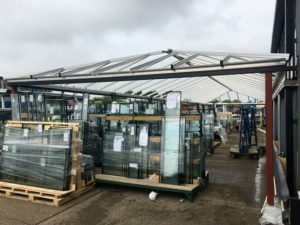 Considerable investment and reorganisation over the last two years has helped a Peterborough firm become one of the UK’s leading fabricators – with the help of the biggest conservatory roof Liniar has ever produced. Specialising in supplying to the trade, BSW Systems prides itself on having a strong commitment to providing the highest quality Liniar products and services through its authorised installer network. Established in February, 2012, BSW has a highly competent production team with vast amounts of experience between its team of 60 – which has grown from just seven staff in less than five years. In order to cope with the impressive growth that the company has enjoyed, BSW has had to take major steps to increase its operational area – and this substantial expansion has allowed the company to restructure its manufacturing processes to maximise efficiency. “About a year ago we had to have a major reorganisation of our production procedure to allow for the delivery of a brand new Supercut 6 machining centre from Avantek Machinery. The whole shop floor layout was totally redesigned to accommodate the new machine. “Not only did this give us the ability to almost double our output of frames per week, but the reorganisation enabled us to streamline our whole operation. “We calculated that about a third of the factory was being used for storage and this was something we needed to remedy to improve throughput. 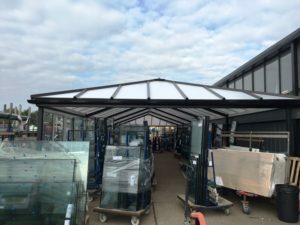 “We had a 20,000 ft² extension built on to the existing building and ordered a beautiful black Liniar conservatory roof for it. 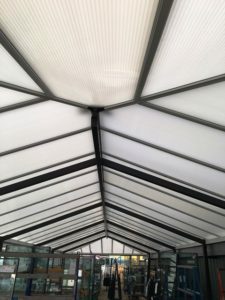 We take great pride in the appearance of our premises – so not only did the roof have to be fit for purpose, it also had to look great too. “We realise that this was a huge area for a roof to cover, but after careful calculations, Liniar had no problems providing us with the kit. And despite its size, the roof really was a joy to install. “We’ve also taken ownership of another 7,000ft² factory unit behind our building in which to store aluminium. This has enabled us to take on the manufacture of the Alumina bi-fold door system, which is already proving to be a huge success with our customers. “In addition we’ve converted a side building into a glass storage area, which is much better than keeping it outdoors. “All of these measures have freed up the main factory for its primary use – manufacturing. Because of the surge in popularity of coloured and foiled windows across the Liniar range, BSW has also had to take other measures to streamline their processes. “We’ve witnessed a dramatic increase in coloured orders, including lots of different variants. This means that the days of simply slotting the next length of white profile on the saw has long gone. 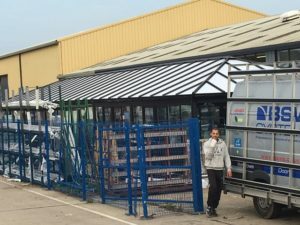 “Feedback received from our trade customers indicated that they’d like to be able to collect their orders at more convenient times – which often fell outside our usual opening hours. With a new corner cleaning machine from Avantek being installed soon, together with launching a new hardware insurance package agreement with Yale, there’s no sign of things slowing down anytime soon at BSW Systems. Click here to find out more about BSW Systems or call 01733 459955. 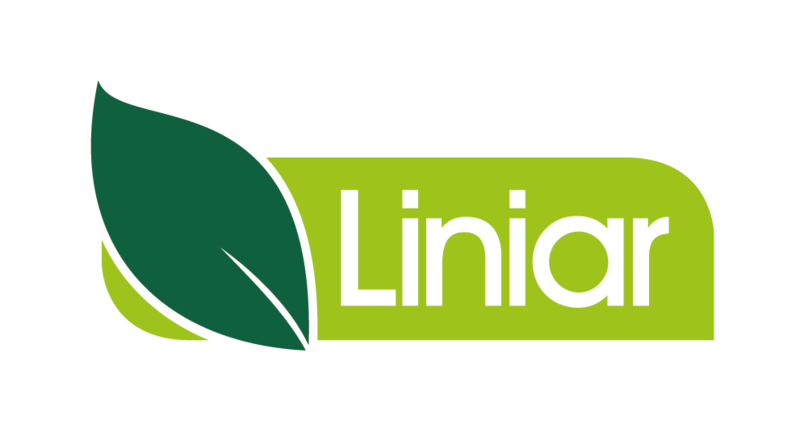 For more information on Liniar click here or call 01332 883900. You can find out more about Avantek Machinery and the Supercut machining centre by clicking here.